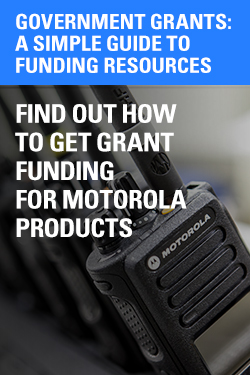 FCC Licensing Chrouch Motorola Two Way Radio Dealer Grand Rapids Saranac Mecosta Michigan Chrouch Communications, Inc.
Chrouch Communications works closely with a licensed frequency coordinator so we can take care of ALL your FCC licensing requirements. We can assist you with new applications, renewals, relocations and modifications. 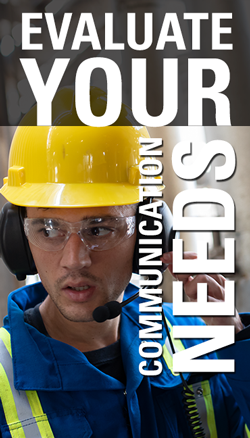 Complete FCC Licensing services from start to finish. This is a summary the key points regarding the FCC's Narrow-banding Mandate and the impact it will have on county dispatch radio systems. The FCC has mandated that all radio systems operating on frequencies in the VHF High-Band and UHF bands operate on channel bandwidths of 12.5 kHz or less on or before January 1, 2013. Currently the majority of VHF and UHF radio systems operate on wide band channels of 25 kHz. Please note that pagers are also affected. What does narrow-banding mean? If you use the analogy of 3 radio channels being like a 3 lane expressway, it would be like adding 2 more traffic lanes in between the existing lanes, without adding any width to the highway. In other words, the old highway had 3 lanes in 30' and the new one has 5 lanes in the same 30' width. If someone adds a new narrowband channel next to an existing wideband channel there is a possibility for interference because the new channels overlap part of the wideband channel. There is very little room for error. Converting to narrowband early minimizes the possibility of this issue. Two other dates are important to the narrow-banding issue. Beginning January 1, 2011 licensees will be required to utilize 12.5 kHz narrowband channels for all new systems or modifications to existing systems that would expand the system's interference contours. This means modifications to add new sites, increase ERP, or change antenna heights on a wideband channel are not acceptable after the deadline date. Another important date that has not been specifically mandated yet is a very important point of discussion in terms of long term communications planning. The FCC expects that licensees will ultimately implement equipment that is designed for channel bandwidths of 6.25 kHz or less. 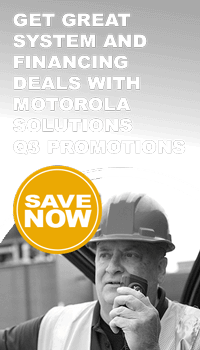 In anticipation of this, Motorola has just released a new product called MOTOTRBO that meets this new anticipated mandate. This is an appropriate time to discuss the option of other radio technologies. The narrow-banding issue does not affect the 800 MHz band. Older versions of HT1000 and Visar portable radios are programmable for narrowband only on existing channels. They may not be compatible if new narrowband frequencies are added. Implementing the migration to narrowband requires re-licensing all existing radio channels to modify the technical parameters of the license to narrowband emission designators. The existing radio frequencies licensed will remain the same. There are no new frequencies allocated because of a switch to narrowband. The actual migration process requires reprogramming every RF link, base, mobile and portable radio as well as any pagers at the time chosen for the change over. During the process, it is possible that some radios will still be operating wideband while others are operating on narrowband. During this change over, wideband radios talking to narrowband radios will sound distorted because they will transmit twice as much information as the narrowband radios are prepared to receive. Narrowband radios talking to wideband radios will sound clear but only about ½ volume because they are transmitting only ½ of the information a wideband radio is prepared to receive. Because of this unavoidable scenario, it is desirable to modify all radios in as short a time frame as possible. Once the equipment is converted, there may still be issues with communications to radios in other departments or adjacent counties that decide to do their changeover on a different schedule. Radios can be programmed channel by channel with some channels operating wide band and others on narrowband. Some radios may end up being reprogrammed multiple times as various departments switch to narrowband on different schedules. This is the time to start initial planning for implementing the narrowband mandate. Some initial steps to take are; inventory the radio equipment in use to determine what will need replacement, discuss optional systems, and discuss a timetable for implementation, as well as financing and the impact on interoperability. I am available to come to meetings to answer questions and provide more information if you like. Please let me know if I can be of assistance in any way. Kevin Courtnay, Service Manager Chrouch Communications, Inc.